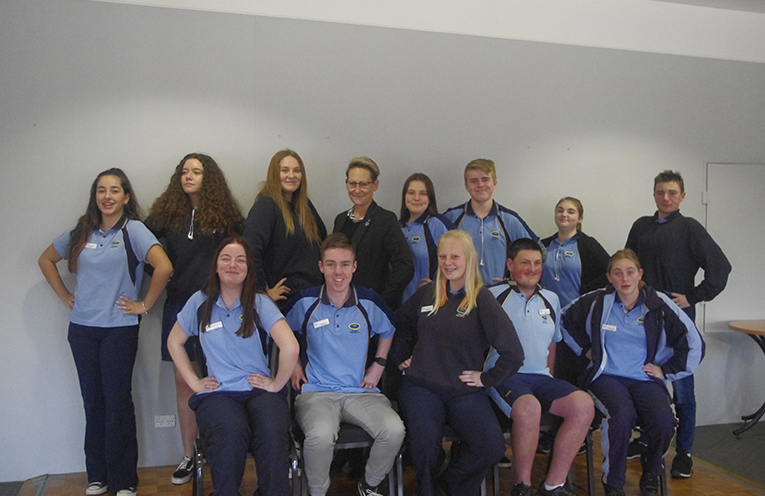 Real Futures Foundation Ambassadors with program sponsor and President of the Tomaree Business Chamber Leah Anderson. Photo by Marian Sampson. LEADERSHIP and communication were the subject of a recent special workshop for students held at Horizons Golf Resort. UQ’s Heidi Pollard led the students from Tomaree High School through the challenges that they face in communication to solutions and strategies to make communication easier. Heidi Pollard delivered up leadership and communication training in an engaging workshop to the Real Futures Foundation Ambassadors. While some students felt at ease communicating others found public speaking a challenge. Connecting with people in authoritative positions was also something that some students considered a challenge. In learning the various communication styles the students were better able to consider how they communicate with others and to employ various strategies to strengthen their ability to get their message across. The ambassadors who participated in the program are about to embark upon participating in business events. The skills that they learnt will be invaluable to them as they network with local business and community groups. The Real Futures Foundation Ambassadors Program is sponsored by Leah Anderson and Associates. Leah is the Port Stephens Business Woman of the Year and President of the Tomaree Business Chamber. She believes that encouraging our youth to improve their communication skills is an investment in the future of the workforce. “Understanding how they will interact and in terms of their careers how to approach a job interview or working within a team is important, as is understanding that their style is not the same as that of everyone else,” she said. Some of the Ambassadors will get to test their new skills at the upcoming Real Futures Foundation Alumni Dinner.